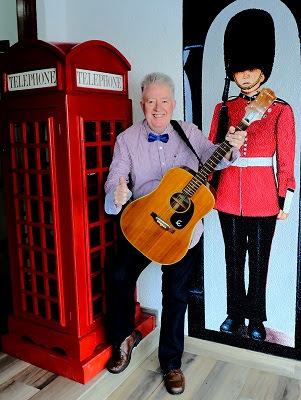 Rhumbelow Theatre at Tina’s Hotel in Kloof will present Dave Monks and The Great British Pub Night from January 19 to 21. This production is jam-packed with nostalgia and features more than 50 snippets of the most popular sing-a-long and clap-along songs on the planet. Monks’ impressive repertoire of original arrangements of pop and party songs covers a tremendous amount of hits spanning over five decades from top artists like Rod Stewart, Tom Jones, Cliff Richard, Roger Whittaker, Smokie and, of course, The Beatles. His unique style and personality on stage is humorous and slick, with a few jokes thrown in for good measure. A well-known and respected entertainer on the South African music scene, Monks is an established gig artist having “paid his dues” over the last many years and has performed in almost every corner of South Africa as well as Ireland, England, South Korea, USA, Portugal, Zimbabwe, Botswana, Swaziland, and earlier this year in Abu Dhabi. The Great British Pub Night is suitable for all ages. Performances take place on January 19 and 20 at 20h00 and January 21 at 14h00. The venue opens 90 minutes before show for drinks. The show CD will be available at all shows.